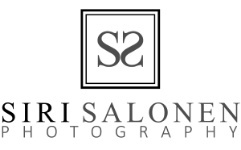 Every time a couple chooses to have Siri Salonen Photography photograph their wedding day, I am momentarily awed by the honor. I adore photographing weddings so very much and appreciate all the hard work and research that goes in to finding and hiring the right photographer. When I get to be that photographer, I am beyond thrilled! I guess that sounds sort of dramatic but really, I work very closely with only about 20 couples a year to help them craft an amazing day and then work crazy hard to capture it all for them. When Summer and Ken contacted me about capturing their engagment session and wedding images, I was extra honored! You see, both of them (as well as her mother) have jobs that center on planning other peoples amazing events. I knew that they knew many wonderful photographers and could have chosen from any of them. They picked me and I am forever grateful. June 6 was one of the first perfect summer days we have had on Grand Traverse Bay and I couldn't wait to capture their blue sky day! I met the girls at Bay Shore Resort where the stunning bouquetes from Victoria's Floral Design were waiting and the girls were just finishing makeup with Emily Gernaat of Emily Jean's Pop-up Salon. Can you even believe how perfect Summer's dress is? 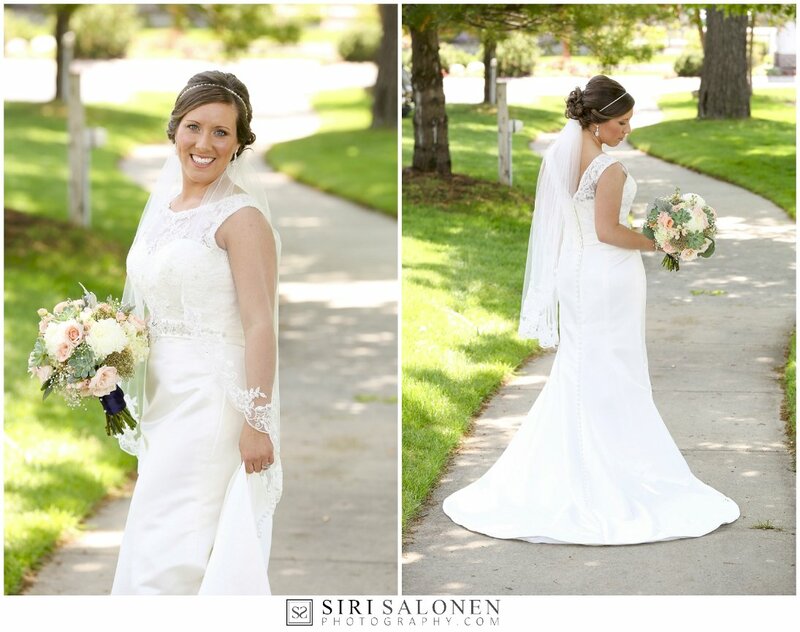 She was the perfect classic, fresh bride! The guys looked so handsom in their grey suits! 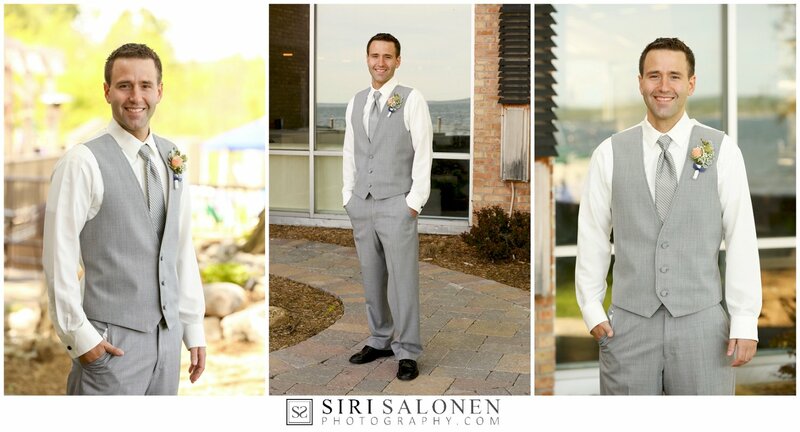 I love the casual look of full back vests with no jacket for a Bayside wedding. This is a fun group of guys and although their suits said classy, their socks said "lets party!" 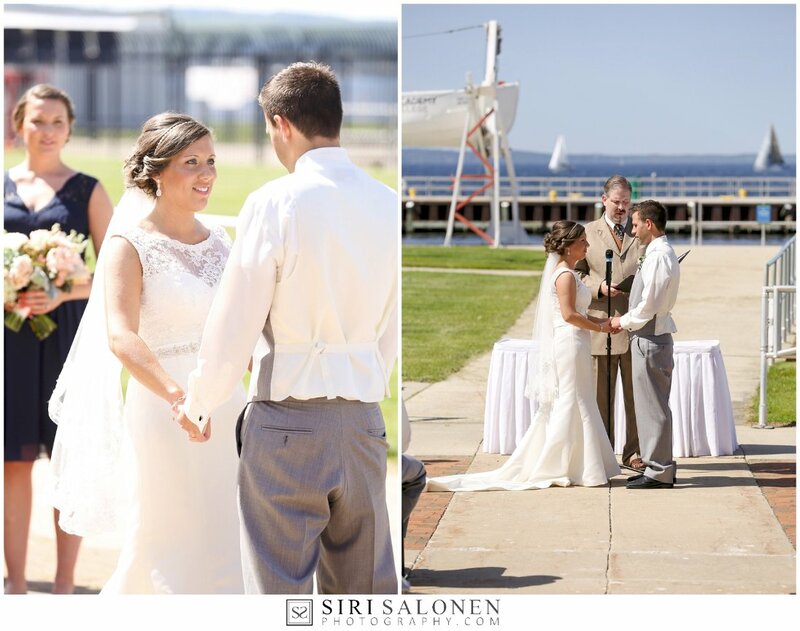 There were so many sweet moments during the wedding as Summer & Ken made their promises of love to one another. You can absolutley see they love they have for one another in the looks they exchange. She looks up at him with a trusting, deep faith in him and he holds her close as if to keep her safe. It feels crazy to say that I can see that in just looks but after spending hours photographing a couple in love, you would be surprised by how much you can learn! As sail boats floated by, they exchanged rings and blended sands to symbolize the combining of their lives. Once the formal family pictures were over, a wonderful dinner served by the Hagerty staff and the delicious dessert bar enjoyed, Tim Davis of Executive Sounds got things rolling. Summer & Ken had the sweetest first dance...it was as if they were the only ones in the ballroom. 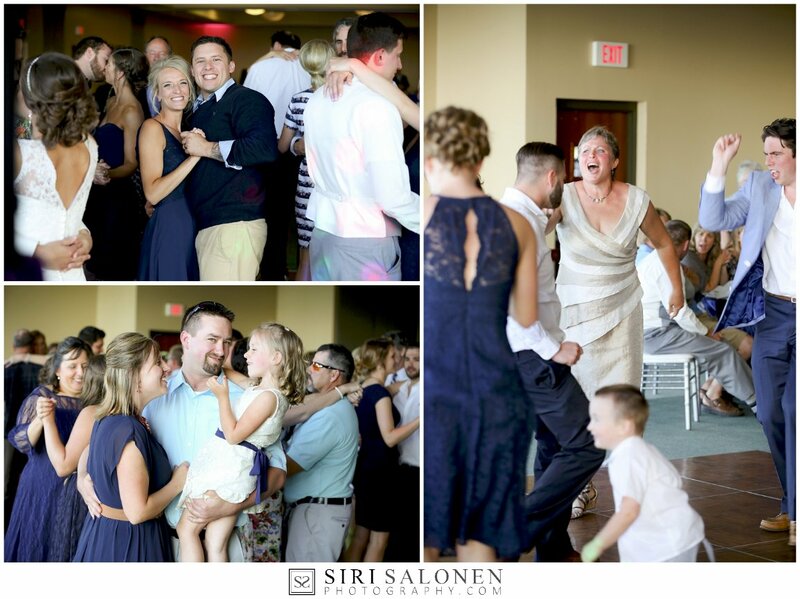 Sweet dances quickly turned into an amazing celebration as guests took to the dance floor. What a great crowd! They never left the floor for the whole night and kept the party rocking well into the evening. Definitely one of the best crowds ever! One of my favorite times during a wedding day is when I can steal the newlyweds away for a few sunset images. They have been riding a rollercoaster of emotions all day from anticipation to excitement to joy and this time gives them a minute or two to just be together and enjoy their first quiet moments as husband and wife. The soft, golden hour light and the stunning sunset made for some beautiful images...Grand Traverse Bay seldom disappoints when it comes to sunsets and this evening was no exception. Heartfelt thanks to all of the vendors, family and friends who made Summer & Ken's big day the perfect beginning that it was! 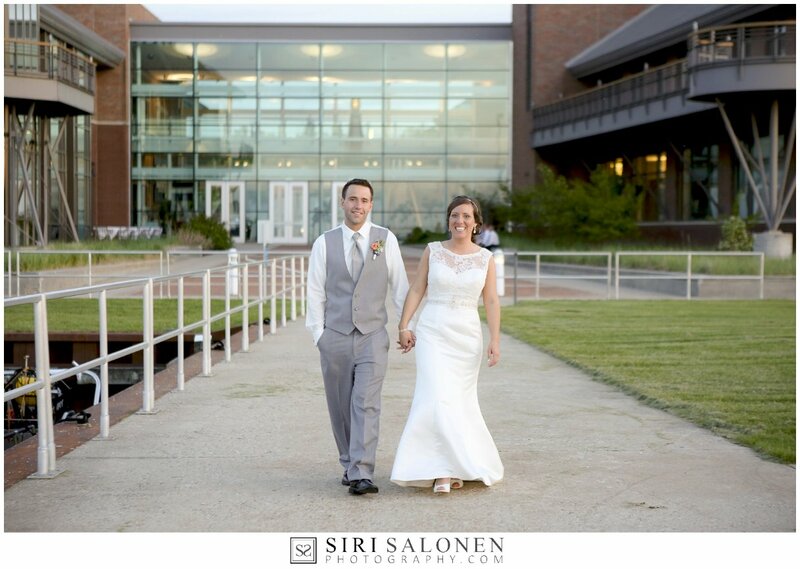 To Summer & Ken, thank you for trusting me to capture your amazing moments and memories for you! May your marriage be even more lovely than the day it began! 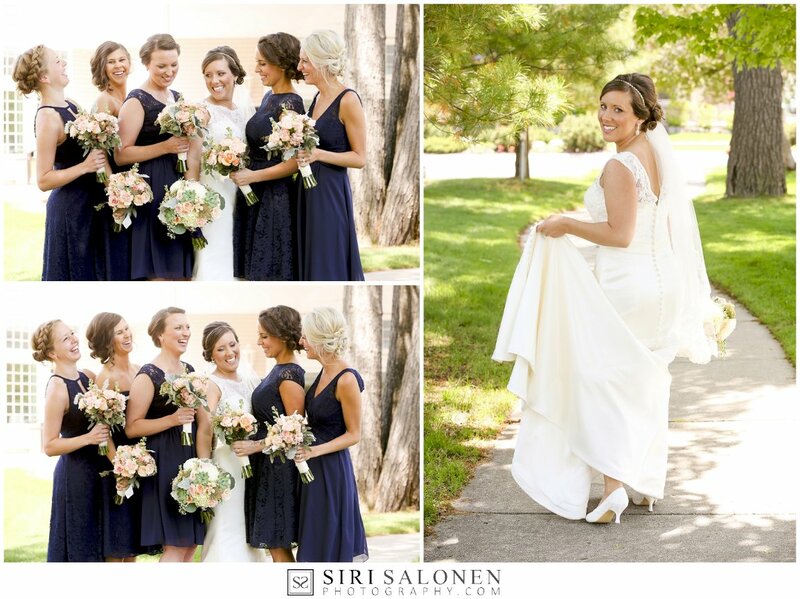 Christy Kearns - As I said to Summer, this was a beautiful, classic and elegant wedding and the photographer captured all of that in the photos. It brings tears to my eyes to see little Summer all grown up and with such a handsome and loving husband. You can tell the photographer took the time to capture the love and happiness between this sweet couple. angela - This looks like a really fun event! Great work. 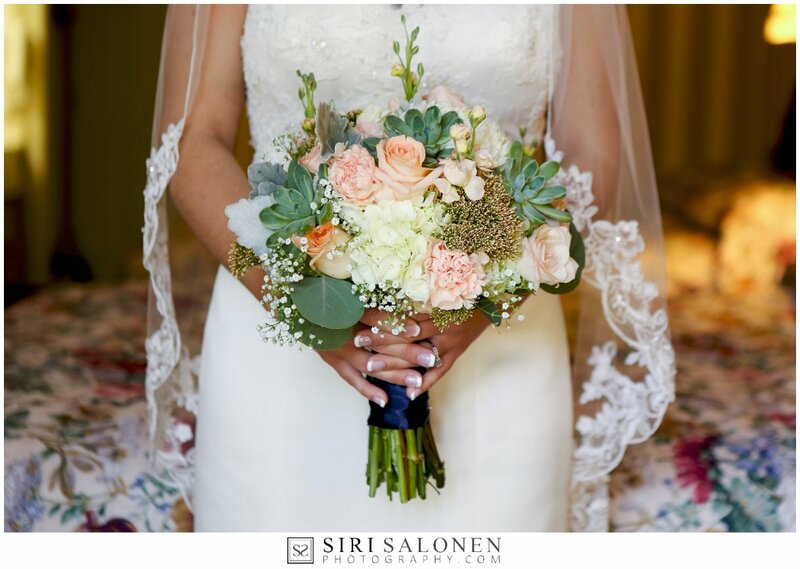 I especially love the bridal bouquet portrait. It's so sweet and romantic!